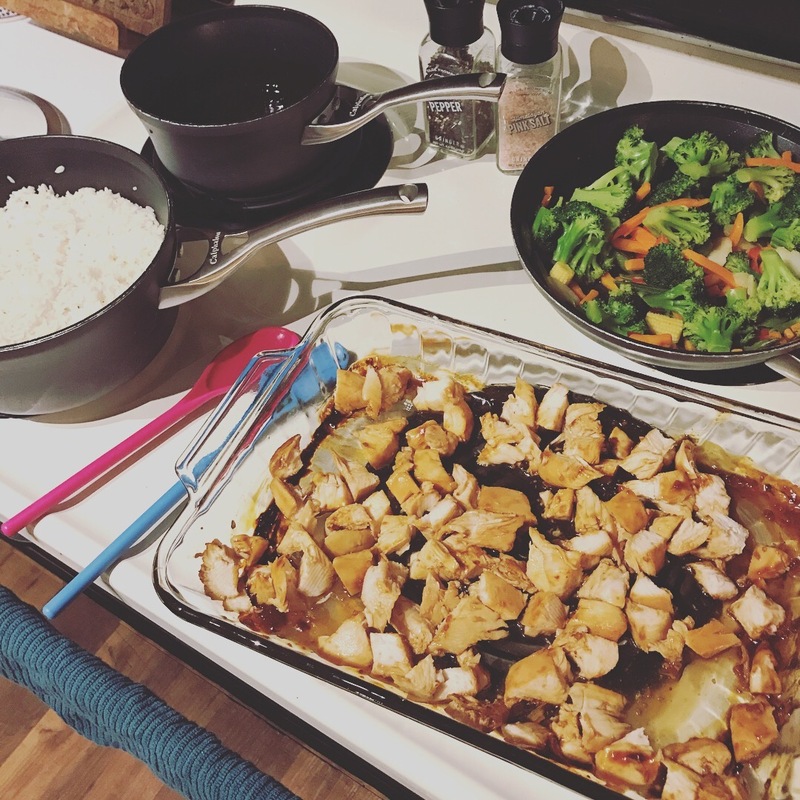 Megs Blogs: Weekend cooking recap! I've been doing a lot of cooking lately, so I thought I'd do a little Tuesday meal recap. If you don't already know, I share all of my cooking on a separate instagram account here. Before I was married I did very little cooking. Chris came from a family where everything was cooked from scratch, and always ridiculously delicious. Needless to say, I had to figure it out fairly quick to keep my man happy! More than anything, I've just kind of taught myself as I've gone along. Sometimes I follow a recipe, and sometimes I make it up. The past few days I've made a couple of delicious meals, that all got rave reviews! Saturday morning I decided to make chili. It's not feeling even the slightest bit like fall here, but I didn't care. 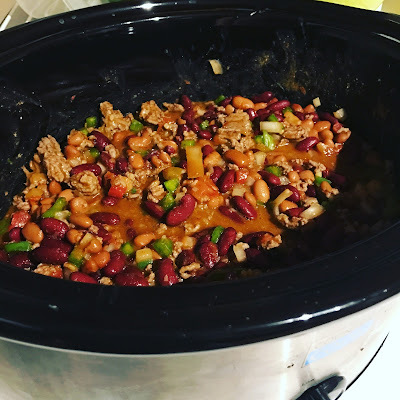 I like to make chili in the crockpot, but I brown the meat in a skillet on the stove first. Each time I make it, it's a little different, because I usually just throw in what ever I have. This time I threw in kidney beans, chili beans, rotel, half a large yellow onion, and half a green bell pepper. I also used chili seasoning, cumin, garlic, salt, pepper, and cayenne. This is not an exact science. I taste it as it cooks and continue to add different spices until it's just right. There is definitely no measuring with this recipe, which I love! We enjoyed it Saturday afternoon while we watched some college football. Sunday, I decided to try a couple new things. First, I meal prepped for the week. 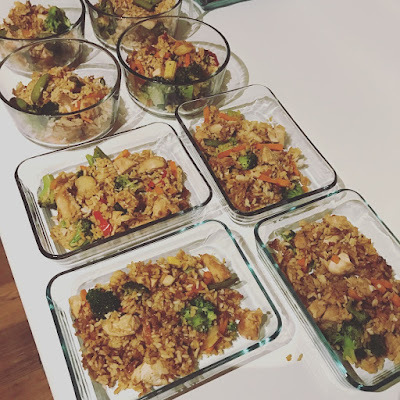 This week I made teriyaki chicken casserole. I found the recipe here. It's also posted on my Pinterest. I added more of everything, since I was making it for lunches for the both of us for the week. Also, I cut the chicken into small pieces instead of shredding, just because Chris doesn't love shredded chicken, but other than that I pretty much stuck to the recipe. Y'all, this is good! 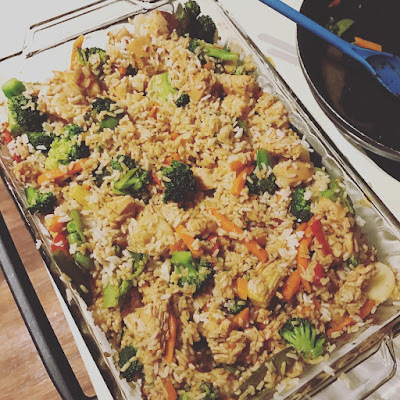 I know the rice isn't super healthy, so I added more of the chicken and veggies. What makes the dish is the sauce. So good, and really easy to make! I'll never be using a pre-made teriyaki sauce again! Sunday I actually cooked dinner. I was feeling ambitious so I tried something new. 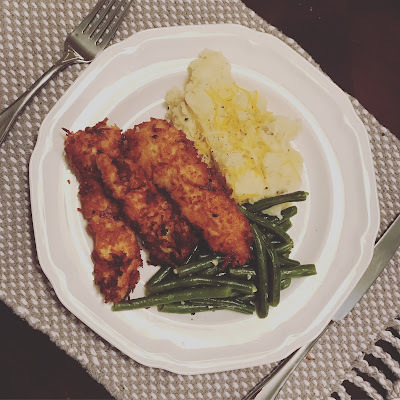 I made coconut chicken tenders, mashed potatoes, and green beans. It was so good. I would eat these chicken tenders every day. I found the recipe for the chicken here. I highly recommend this one. It will definitely be going into our rotation of regulars. That's what I've been cooking! What's cooking in your kitchen! ?